TenguLife: The curious guide to Japan: An amphitheatre with a park on top in the centre of Tokyo? 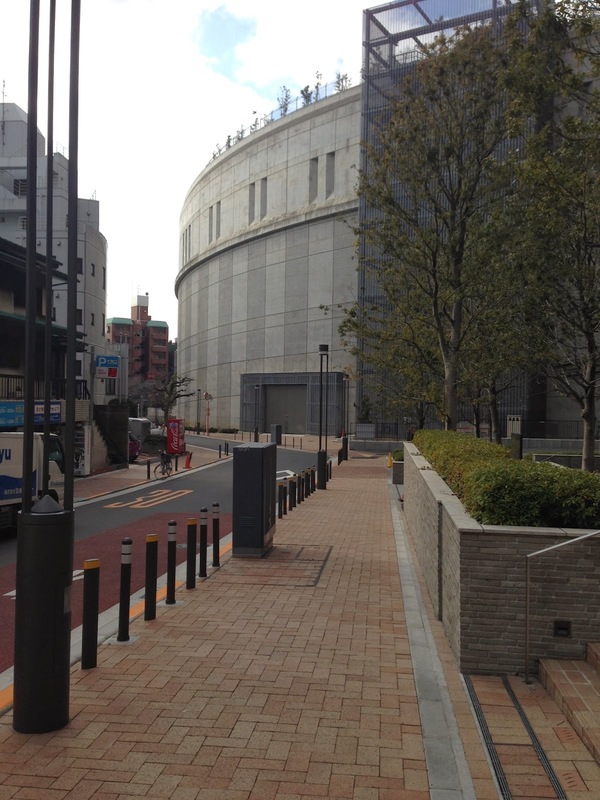 An amphitheatre with a park on top in the centre of Tokyo? Ohashi junction just west of Shibuya is big. Really big. It links Route 3, the main feeder for the highway to Nagoya and Osaka, to the Yamate Tunnel which lets you skip hours of traffic above ground and cut north straight underneath Tokyo. And it took nearly twenty years to complete. The junction is a massive spiral bridge that links the highway 20m (60ft) above ground to the tunnel 30m (100ft) below ground. But instead of leaving it open with noise and smog, they closed it off and built something resembling a Roman Amphitheatre. They put a park on the roof and a futsal court on the middle. Now that's how to use a highway in the centre of Tokyo. Karaoke - Tokyo 2020, an Olympic Sport? Japanese TV commercials - But Why?